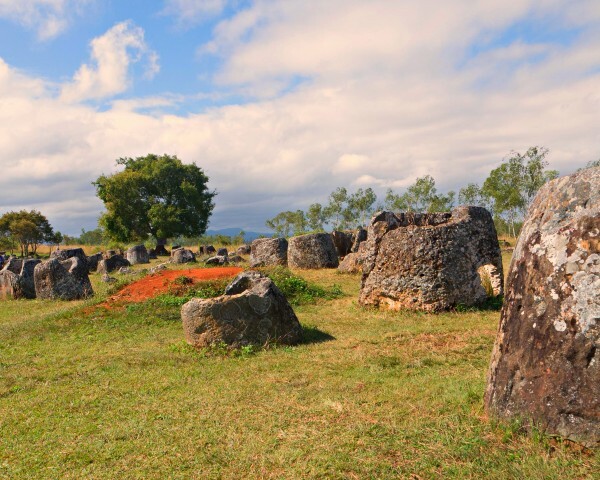 You will begin the tour by riding northeast out of town on a short stretch of tarmac before switching over to a stunning graded section through the Lao countryside. 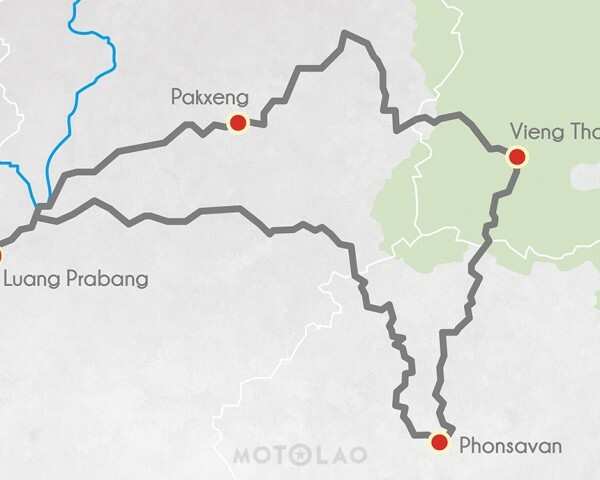 You will then turn back onto the tarmac for roughly 70km into Vieng Thong, a small Lao village that is far from the tourist trail. We will stay overnight here at local guesthouse. 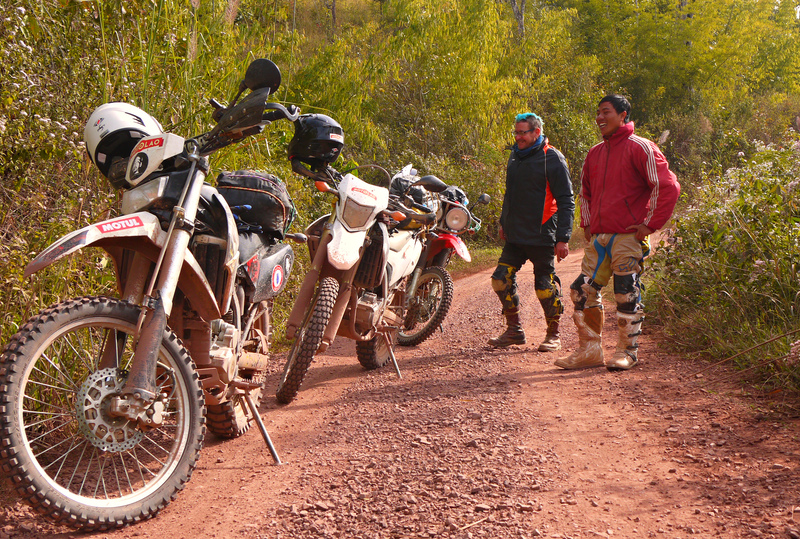 Today, you will begin riding off-road along dirt trails heading south towards Phonsavanh, the capital of Xiangkhoang Province. 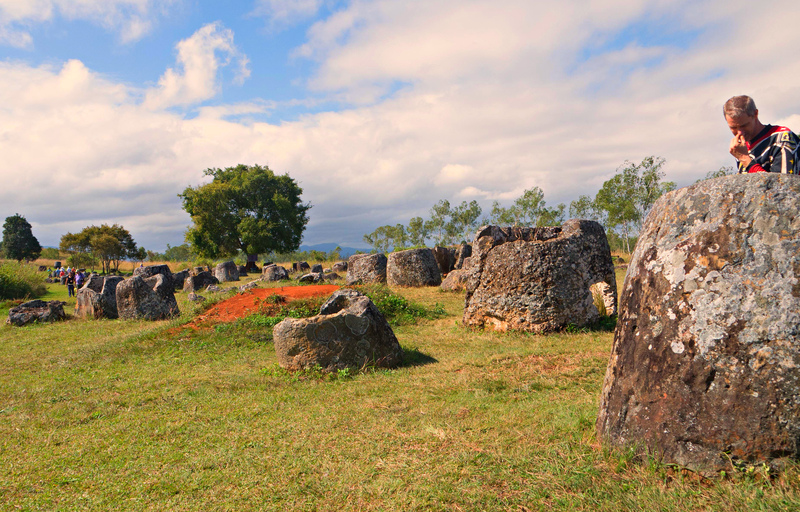 The route from Vieng Thong has some challenging twist and turns that will take us up to the old United States’ air base, LS36, and to the steel drum village of Ban Nakout before emerging into the wide-open plains of jars in Phonsavanh. 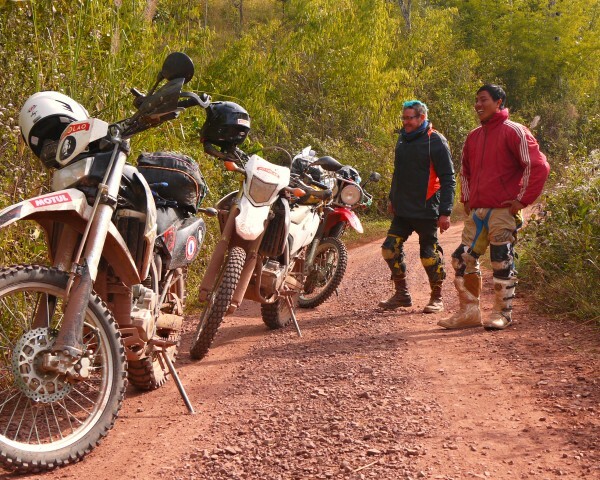 After breakfast, you will head out west on wide open roads through some remote areas of the country, With over 140 km of off-road riding, this will be one of your longest days out on the bike. 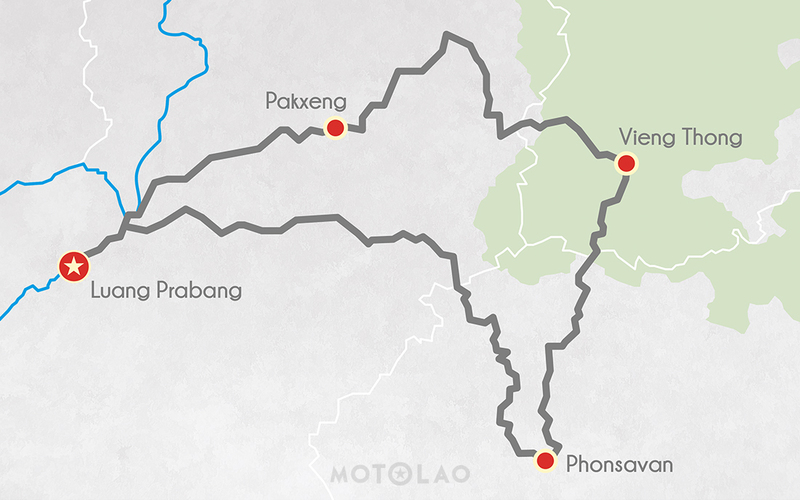 This route features some river crossings and challenging trails through the mountains as you head back to Luang Prabang.